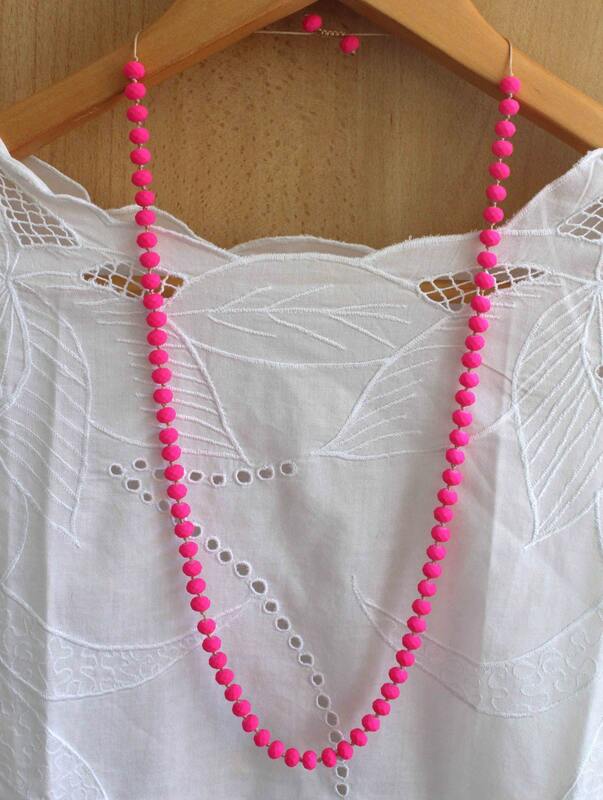 Neon Pink Necklace. Knoted adjustable necklace. 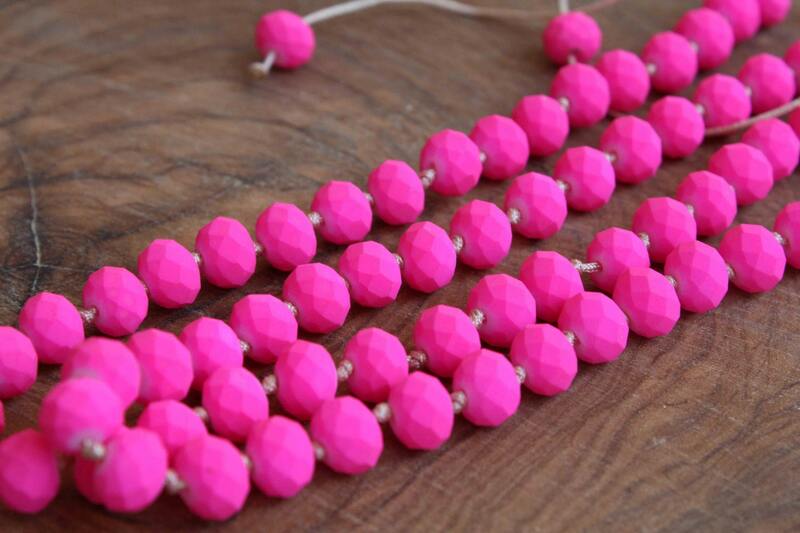 Neon minimalist necklace. 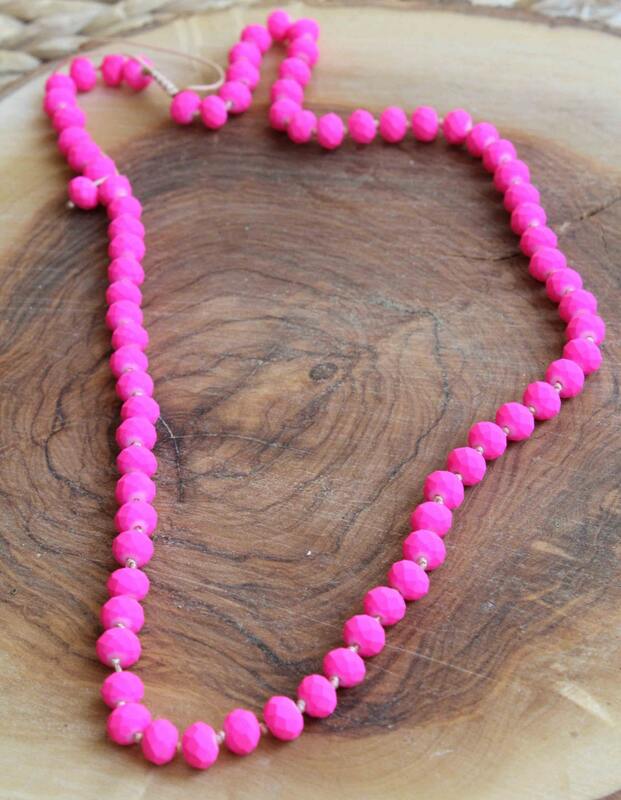 This Necklace is a Must Have!!!! ♥ Beige Macrame string with handmade knots between every bead!If you want different combination just message me! The closing is adjustable!The shorter length is 12"(from neck) and adds about 4" when fully opened! It looks so bright and elegant perfect for every look!! !You can stack it with other necklace too! 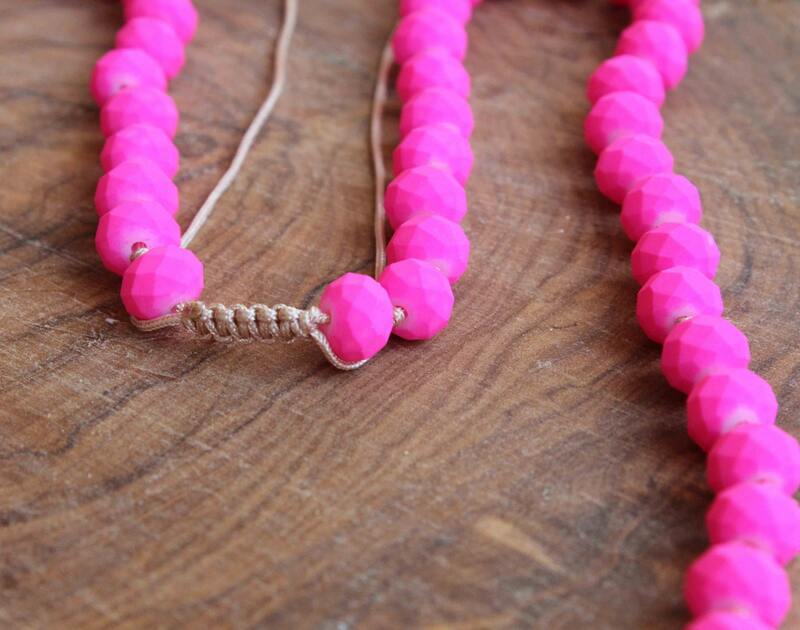 Let me know if you want another colour of string between the beads!! Love this necklace. Great color. Thank You! Really easy transaction-super fast. Cute item that I really enjoy!